A friend of mine took his car into the shop for work that he knew needed to be performed and was also advised that a ‘check-up’ should be done regarding other parts of the vehicle; he said ok.
A couple days later, a very large estimate was given to him with the explanation that his car needed additional work done and that there was only one way to accomplish this; or was there? Similar situations can and do occur, in the construction industry with hundreds of options and decisions needed throughout the project. An Owner’s Advocate, independent Architect, and/or General Contractor who’s fiduciary is directly to the Owner and independent from the Owner’s hired Architect and General Contractor, can provide the Owner with a separate pair of eyes, experience, and options that could benefit the Owner immensely. For instance, lets say that during the architectural design phase of a new building project, that the engineer designs a structure with steel beams and posts, to achieve an open floor plan effect. Well, the Owner is not likely experienced to know there is an alterntive to the steel framing. 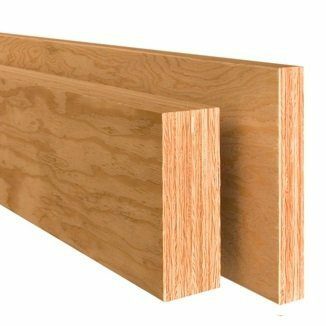 Glue laminate wood beams for instance, will save a significant amount of money and time and still accomplish the clear span request. The steel structure will require certified welders, cranes to erect and set in place, an additional/different subcontractor and material supplier from the framer, and will require additional carpentry work when integrating with the standard wood framing members. In an average size new two story home project, that we actually just completed, the cost saving differential, from not using steel, would be about: $4,500 in material + $3,000 in initial labor installation + about $2,500 in framing detailing + $1,250 in welder services + $2,500 in crane and erection + about $1,250 in special inspector services, or an additional $15,000!, just in this trade alone (imagine the additional savings available for the other 20 trades in the project!). Actually not much different either from having an ‘insurance advocate’ on your side, independent of your insurance company and looking out for your best interest exclusively. If you would like to explore this and other options available for your project, please send us an Inquiry and we’ll get back with you within (24) hours. As a follow up to the previous Blog, “Open Floor Plan Design”, is the construction of our architectural plans that bring life and reality, into 3-D living enjoyment. In this case, a new Kitchen and Family Room. After building permits are pulled, one of the first steps we take is to protect the Homeowner’s existing home and respective materials, that are to remain post-remodel work. For instance, another job we designed and built in Brentwood, CA had wood flooring in one space that we were going to ‘connect to’ with new wood flooring, so we layed down protective paper first, followed up with ½” thick plywood. This ensured that the underlying wood floor would not be affected, for the duration of the remodel project. Equally important, we take significant precautions to try and maintain a healthy living environment for our Client’s during construction. This involves constructing temporary walls and dust shields, at strategic locations in the home. Next step is shoring up existing structure, such as ceiling joists and rafters, preface to removing load-bearing walls. As well, disconnecting existing kitchen utilities, removal of old cabinets and demo of the existing flat ceiling to make room for the ‘volume/higher’ ceiling, is part of this process. Now our way is cleared for installation of structural components such as foundations, posts and beams. Part of this process involves heavy steel connections and Building Inspector approvals, along the way. Installation of the new utilities, followed by drywall; new cabinet/countertops/fixtures; flooring, lighting and then painting, will round out the general parameters for completion of the new open floor plan construction. A Final sign-off from the Inspector; final detailing of the project and seeing the Client’s finally enjoying their home to it’s real potential, is actually just the beginning, of an everyday happy life for this family, that we had an opportunity to assist with.